But Sharpton isn’t making an endorsement any time soon, planning to hold off for at least a year. While candidates try to sort out how to talk about the economy, the president, foreign policy and the future of the country, he says he is focused on seeing specifics on their plans for how to expand voting rights and civil rights protections and deal substantively with police brutality. A fixture of New York City, he and Bloomberg have maintained a relationship since he was first elected mayor in 2001. Sharpton also has ties to Biden through being a strong supporter of President Barack Obama, serving as a de facto spokesman on MSNBC show "PoliticsNation" when Obama was in office. Sharpton has hosted a number of either confirmed or potential 2020 candidates in recent weeks: Sens. Elizabeth Warren (D., Mass. ), Bernie Sanders (I., Vt.), Sherrod Brown (D., Ohio) and Amy Klobuchar (D., Minn.). 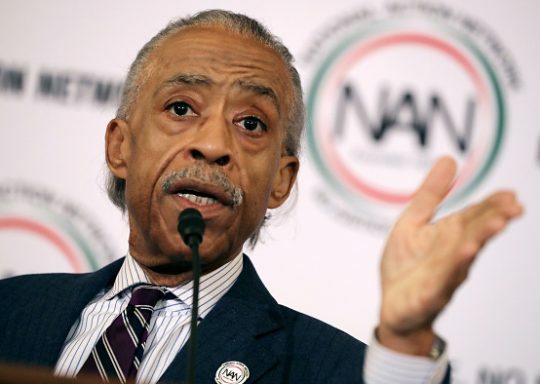 "I’ve been in this too long to be swayed by charisma, I want to hear policy," Sharpton said. "I’m hearing some good things, some incomplete." This entry was posted in Politics and tagged 2020 Election, Al Sharpton, Joe Biden, Michael Bloomberg, Police. Bookmark the permalink.